Proper Prescription Drug Disposal — Not Just an Issue for Seniors! We recently were requested to begin homecare for a senior; nothing out of the ordinary. However, once our staff was deployed we found out that this senior had an excessive amount of medicines in the home; excessive as in garbage bags full of medicines! These were prescription medicines prescribed by numerous doctors over a period of years. There was also a a very large collection of common off-the-shelf medicines, including cold medicines and the like. Although this was an extreme case, it nevertheless gave me cause to stop and think about the drugs that we all have in our respective medicine cabinets at home. From that perspective, the action item we took for this wonderful senior is the same action item we all need to take for ourselves and our families! 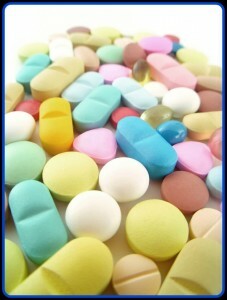 First, take inventory of each and every medicine that you have. I’d be shocked if like me, you don’t have several medicines that have expired—likely, a long time ago. We are loath to get rid of them primarily because they cost so much. We treat them like an expensive piece of jewelry. But, unlike that great watch, bracelet or necklace, the drug has a specific useful life; a date or shelf-life that once exceeded, significantly reduces or changes the effectiveness of the drug. Additionally, unlike that expensive piece of jewelry, the expired medicines can be dangerous. They are dangerous for a number of reasons. Some of us will try to use an old medicine initially prescribed for one specific issue, at a later date for a totally different, unrelated issue; this is overreach at its worse! This is specifically true for drugs issued for pain, and antibiotics. However, prescription drugs share another feature with expensive jewelry — theft! Another reason these drugs are dangerous is that these same drugs unfortunately have become the target of theft and misuse, oftentimes by people who have access to your residence. America’s 12 to 17 year olds have made prescription drugs the number one substance of abuse for their age group, and much of that supply is unwittingly coming from the medicine cabinets of their parents, grandparents, and friends. More and more adults recognize the need to remove these substances from the home. OK, after completing the exercise of segregating expired drugs and drugs you no longer use, you have likely half-emptied your medicine cabinet. Now the question is what do you do with them. Well, here’s what not to do. DO NOT FLUSH THEM DOWN THE TOILET! Our municipal water treatment plants find it extremely difficult to successfully treat water that contains the chemicals that come from these complex drugs. What you have to do is to “properly dispose” of these drugs. However, this has not always been easy or convenient. The National Association of Drug Diversion Investigators (NADDI) has launched a program designed to significantly reduce the prescription drugs in American homes that are either no longer needed or outdated. Law enforcement is the only entity legally able to accept these medications and process them properly so that they do not fall into the wrong hands and so that they do not pollute our potable water supply. Law enforcement takes control of and destroys drugs on a regular basis as part of their regular operations. To help you find locations in and around the Cleveland, Ohio area where you can dispose of these drugs, we’ve created a document that can be downloaded from our website http://visitingangels.com/Cleveland. The document is titled “Prescription Drop Box Locations” and is located under the “Local Resources” tab. Additionally, the NADDI has developed a web page to provide the locations of law enforcement sites that are accepting prescription drugs throughout the United States. Access their web page http://rxdrugdropbox.org/ and enter your physical address. The web page will respond with the nearest drop box locations to you. Remember, you can drop prescription drugs that have expired or are no longer needed and you can also safely dispose of off-the-shelf drugs.